It’s the ultimate mahjong experience with a Roman twist. 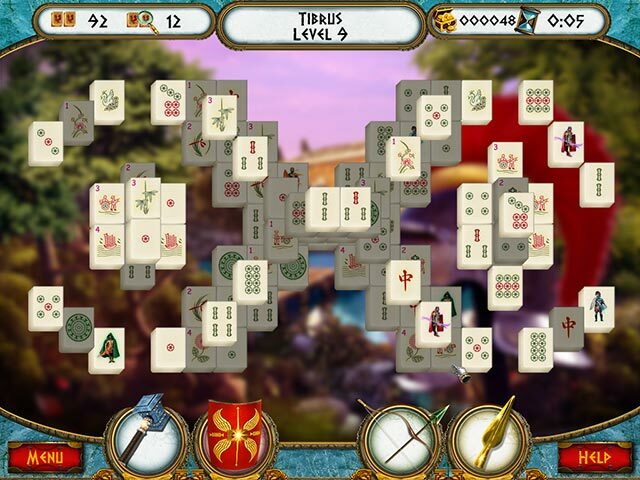 Packed with 100 levels of brain teasing fun, 7 Hills of Rome is the perfect mahjong game for novices and experts alike. With the help of your guide, a famous Roman Centurion, enjoy an epic journey across ancient Rome. Visit the most stunning sights in the empire while solving a variety of mahjong puzzles. This is one fun-packed mahjong game you’ll never forget. 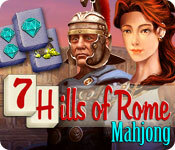 7 Hills of Rome Mahjong is rated 3.2 out of 5 by 5. Rated 4 out of 5 by denniann2 from learn about rome while you play it is a typical mahjong game. 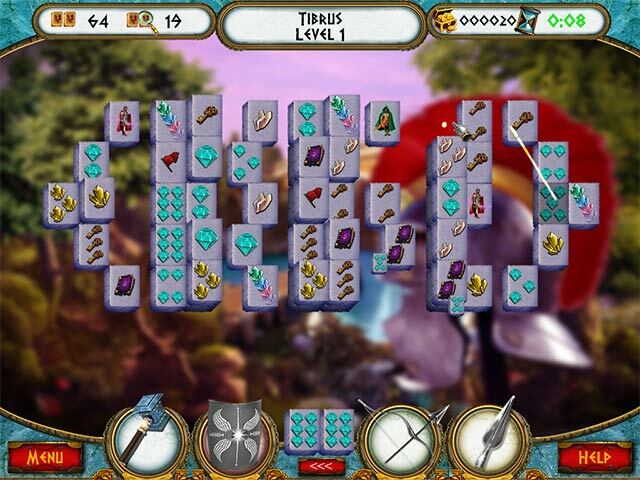 has lots of levels and isn't overly hard at all. has 4 powerups and i don't know what they all do. that comes out at the beginning of the game. one was a board shuffle that i mistakenly hit a few times. the game is not overly challenging. it does require some strategy so you don't have to use the power-ups and if you run out of matches the power up to shuffle automatically does it's thing. it is a good game to have to play at little at a time if you just want something that you don't have to think too hard about. i didn't use a timer and don't remember if there was one. the amount of time you take to finish a level is tracked, though. Rated 3 out of 5 by pennmom36 from 100 Levels Of The Same Thing This is one of the better Mahjong games out there, but after the first level, it's just the same thing over and over. I thought this game showed some promise, starting out with somewhat of a storyline and interesting Ancient Roman themed graphics, but other than the first level nothing new or exciting happened. You can choose from 3 styles of Mahjong tiles (because 4 choices would be way over the top crazy) as you supposedly travel to 10 locations within the Ancient Rome Empire, each location has 10 different game layouts. The goal with every game is to match all of the tiles by choosing two matching Mahjong tiles that are free, unblocked tiles. Each time you match identical Legionnaire soldiers, you will receive a powerup. Depending on which soldier is matched, you will get a Centurion powerup which will destroy 3 different pairs of tiles, the Scout powerup is basically a hint that will show you an available match, the Bowman will reshuffle all the tiles remaining on the board and the Legionnaire can destroy a single tile of your choice. One feature I hate is the fact that all mahjong games require you to reshuffle the board because eventually there are no available moves. Earning shuffles to resolve this annoying feature is one thing but to automatically use my "powerup" because the program is designed to run out of matches is a different story because my score reflects the fact that I used a powerup! Anyway, if you're really into Mahjong games, you'll probably like this game, but for me, it's just a repetitive process with little to no challenge. If you haven't tried Lost Amulets yet, give that one a try, it's really entertaining! Rated 3 out of 5 by bep1 from Average Mahjong This is an average Mahjong game, not bad, but average. One of the tile sets does have pretty jewels in it. Rated 3 out of 5 by biscuitsmama from A SO-SO ENTRY INTO THE FIELD OF MAHJONG GAMES It seems like mahjong games are a dime a dozen these days and 7 Hills of Rome is another entry into that field. As mahjong games go this one is fairly decent but the translation and grammatical errors in the written instructions put me off. The graphics are very good and the mahjong tiles are different than the traditional with some being quite lovely. There are no voiceovers only the written dialogue that is riddled with errors. I checked the credits to see who designed the game but the only thing that showed up was programming language. It looks like 7 Hills of Rome is yet another untested game from BFG. As I mentioned above the tiles are different and they are small. I prefer larger tiles and have only found one mahjong game that I really love, and I play that one almost daily. One of the things I like about 7 Hills of Rome is that there doesn’t appear to be a timer so I am not playing beat the clock to clear the field to find special tiles and that fact alone makes the game far more enjoyable. Now if I could only get past the dialogue the game would be a keeper. 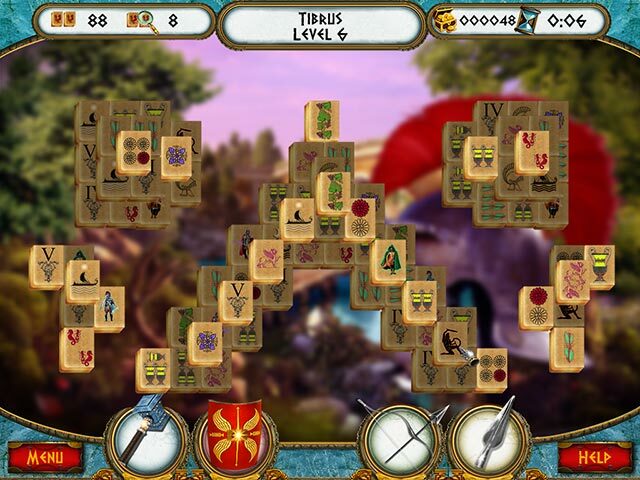 I doubt that I will purchase the game but for many of you who don’t have a lot of mahjong games to use as a comparison might just find that 7 Hills of Rome is a game you will love.